Dr. Julia Lane is a Professor at CUSP, and at NYU’s Wagner Graduate School of Public Service. She also serves as a Provostial Fellow for Innovation Analytics and Senior Fellow at NYU’s GovLab. As part of the CUSP team, Dr. Lane works with the research team to build the CUSP Data User Facility. Previous to this, Julia was a Senior Managing Economist and Institute Fellow at American Institutes for Research. In this role, Julia established the Center for Science of Science and Innovation Policy Program, and co-founded the Institute for Research on Innovation and Science (IRIS) at the University of Michigan. Julia has held positions at the National Science Foundation, The Urban Institute, The World Bank, American University and NORC at the University at Chicago. In these positions, Julia has led many initiatives, including co-founding the UMETRICS and STAR METRICS programs at the National Science Foundation. She conceptualized and established a data enclave at NORC/University of Chicago. This provides a confidential, protected environment within which authorized researchers canaccess sensitive microdata remotely and provides data producers with a secure disseminationplatform. She also initiated and led the creation and permanent establishment of the Longitudinal Employer-Household Dynamics Program at the U.S. Census Bureau. This program began as a small two year ASA Census Bureau fellowship and evolved into the first large-scale linked employer-employee dataset in the United States. It is now a permanent Census Bureau program with appropriated funds of $11 million per year. 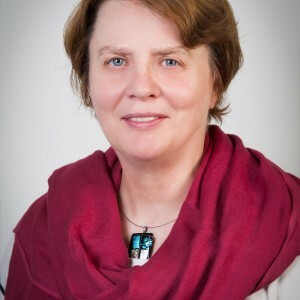 Julia has published over 70 articles in leading economics journals, and authored or edited ten books. She is an elected fellow of the American Association for the Advancement of Science and a fellow of the American Statistical Assocation. She has been the recipient of over $50 million in grants; from foundations such as the National Science Foundation, the Alfred P. Sloan Foundation, the Ewing Marion Kauffman Foundation, the MacArthur Foundation, the Russell Sage Foundation, the Spencer Foundation, the National Institutes of Health; from government agencies such as the Departments of Commerce, Labor, and Health and Human Services in the U.S., the ESRC in the U.K., and the Department of Labour and Statistics New Zealand in New Zealand, as well as from international organizations such as the World Bank. Julia is the recipient of the 2014 Julius Shiskin award and the 2014 Roger Herriot award. Julia received her PhD in Economics and Master’s in Statistics from the University of Missouri.